Programmers who specialize in PostScript, the page-descriptionlanguage, now have a newly updated reference guide for LanguageLevel3. PostScript® Language Reference starts off with a bit ofhistory on the language and an overview of the new version. It goes onto cover basic topics such as raster output devices, scan conversion,and page-description languages in general. PostScript®Language Reference provides an overview of how to use thePostScript interpreter and understand the ideal structure ofPostScript page descriptions. The book covers the heart of thelanguage, including syntax, data types and objects, stacks, execution,basic operators, memory management, file input/output (I/O),functions, errors, and filtered-files and binary-encodingdetails. Subsequent chapters cover graphics, fonts, device control,rendering, and operators. 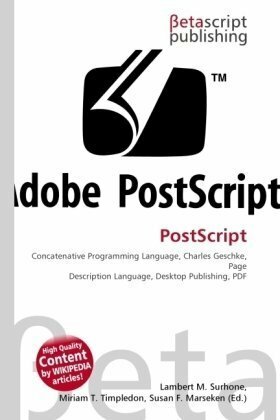 It is indeed THE reference for PostScript, but the organizational aspects of the book itself are a bit confusing until you understand some PostScript fundementals and have a grasp for some oddball "Adobeisms." In addition to this book I've always made a habit of leveraging the "suppliments" released for each version of an interpreter. Additionally, each manufacturer who OEMs an Adobe interpreter sometimes release documentation pertaining to which specific features within an interpreter version are supported, and how. 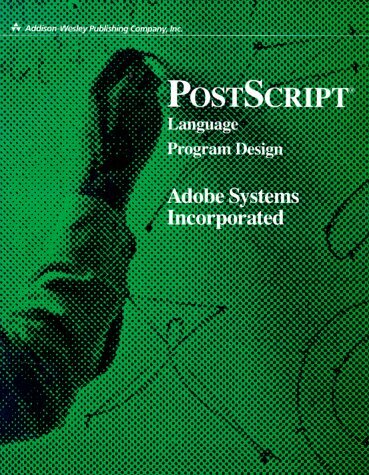 For example, companies often develop specialized applications built upon frameworks provided by Adobe in an interpreter version.Understanding the customized PostScript commands for these applications enables you to take full advantage of them. Either way, buy the book.Don't waste your time downloading it.Sure, that's "tree friendly" but we all know it will end up getting printed anyway. If you're like me and just need to do a little bit with the language, you will need this book but you might want to consider downloading it directly from Adobe.They have it, in its entirety, in pdf format. (Why not postscript?! 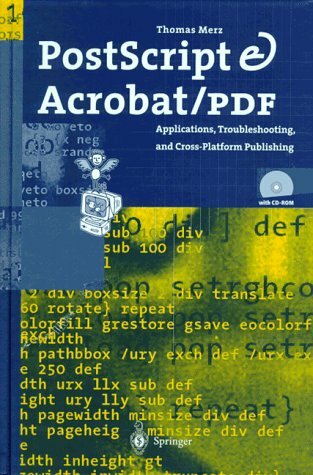 )On the otherhand, if you are going to be using this language alot, you will probably just want to buy the book seeing how an 897 page pdf is a bit unweildy. This manual - the 'Red Book' - is absolutely necessary for programming inPostScript. It is the only complete reference guide to the language, and isso well-organized and thorough that no one else even bothers to publish acomplete third-party guide. Many other books have been published onPostScript - and many are excellent - but they are books you will buy inaddition to, rather than instead of, this manual. We can only wish thatother software manuals were as well-written. 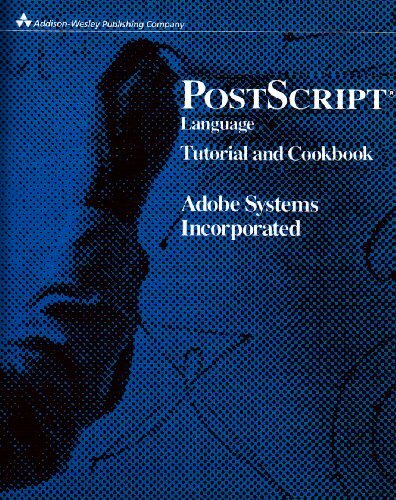 If you want to program in PostScript, you must have this manual. However, you need the newer version, since this second edition only covers version 2of the PostScript language. The third edition covers version 3, and you canfind it for sale here on Amazon using ISBN 0-201-37922-8. 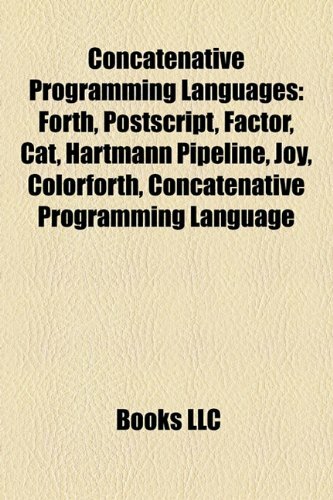 This was the book I used to learn PostScript years ago.It is a very good introduction to PostScript programming.Sadly the book has not been updated since 1985, and only covers level-1 PostScript.Any additions to the language after that (such as color) are not addressed at all. Imagine this: you are tasked to be responsible for understanding the PostScript language.Perhaps because you need to troubleshoot printing issues, or because you want to write specialized drivers for a custom system.Where to start? Many recommend that you can get these sorts of resources on the web for free.That's is true, but I prefer to take into account the true cost of doing so.I can't speak for you, but my time is worth more than trying to save a few bucks downloading and printing my own version. Most tasked with understanding PostScript are typically given the monolithic PostScript Language Reference Manual and perhaps a supplement.If you lack exposure to PostScript, this is a huge and perhaps impossible leap towards PostScript proficiency. 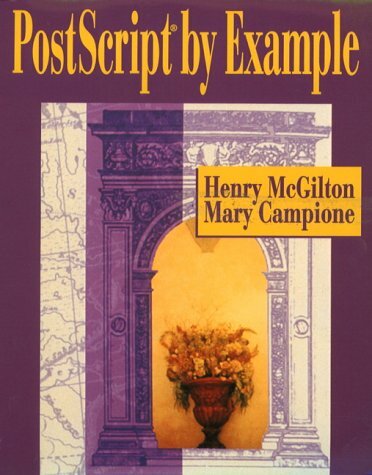 This book goes a long way towards helping the reader quickly understand the basic foundation of PostScript.The book itself is short, small, and easy to read.In fact, its helpful to imagine it as a "PostScript sing a long." Most higher end PostScript printers support network socket connections directly to the PostScript interpreter, meaning that you can connect and actually work directly with the PostScript monster.Write me and ask if you want to know how. I found it helpful to simply sit by a computer with this book, read some pages, then duplicate the programs the book illustrates.If your printer supports the socket connections, great.Connect and enter the code directly.Try creating syntatic errors and watch how the PostScript interpreter responds.Understanding these errors goes a long way towards effectively troubleshooting PostScript. Alternately, you can enter the PostScript code into files, and download them to the printer.Most printers support a verbose debug mode, enabling you to see why the PostScript programs were rejected by the interpreter.This too is rather helpful, educationally and practically. If you need to learn PostScript, and lack any exposure, get this book.But it will leave you in PostScript first grade...more resources listed in my other reviews pertaining to PostScript. A little basic for most needs. This book is a great start to postscript programming, but it leaves out some very important details.I found that if you wanted to include images into your postscript file this book is no help at all.Most of the examples in the book you can find on the web, and if you dig a little you will find this entire book in pdf format on the web.My recommendation is to not spend the money. Its good book for starter. 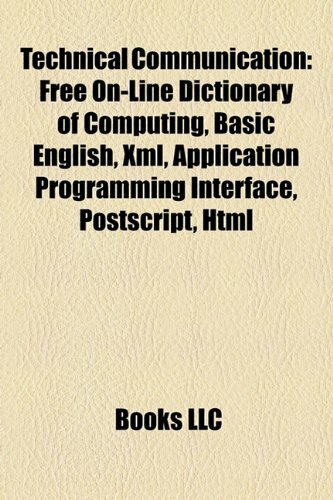 This books gives very good start for the programmer who want to learn postscript. Its good book for begineer. I didn't really need to know THAT much about PostScript! This is a book intended for those who want to write drivers and stuff.I'm not that guy.I just want to know enough about how it works to respond to needs as they arise. You know?Just because I want a web server on my machine doesn't mean I want to write an HTTP stack from scratch.I'll probably just find what works and adapt it to my purposes. I needed to create an application for someone who wanted a custom driver that would print different state-related labels on their printed images. Did I run off to the Program Design book to figure out how to write it from scratch?No way, man.My advanced status within the cigarette consumption community requires continued proficiency through hourly breaks, thus making this sort of focused activity quite impossible. Instead I looked in other drivers that had what I wanted, then printed to file, viewed source, and then pulled the code out as I felt appropriate.Quick, relatively easy, and demonstratively slothful. Get this book if you want to learn how to write drivers.Better, get this book and display it prominently so others think you know how to write PostScript drivers. Just get this book.Hell, its worth the money. Caution: Not a beginner's guide to postscript! The book provides too many examples. Some of them (30%) are useful. The rest are boring. The definition of the Current Transformation matrix is wrong (colums and rows are exchanged) showing that the author has no idea about linear algebra and matrix products. This is an extremely helpful book, *if* you are a little familiar with PostScript and want to know more.Although it suffers a bit from lack of organization, the subsections are fairly self-contained and are generally extremely clear. As a hobbyist, my primary interest is in PostScript drawing rather than text manipulation, and this book has good coverage of drawing and graphics. My understanding of PostScript was greatly deepened by this book. (I finally understand dictionaries! )PostScript level 2 is discussed in some detail, which is unusual among the available texts.I have looked at several books and have not found a better intermediate level text. In fact, I could barely get through it. 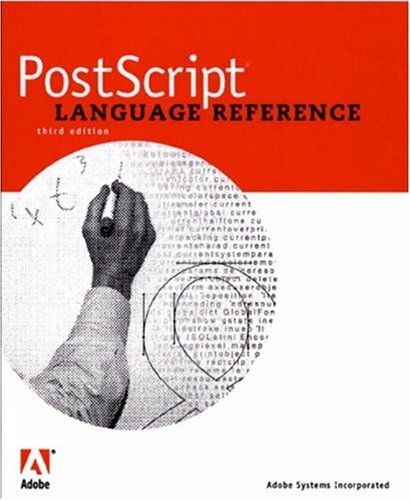 My introduction to PostScript was through the Language Reference Manual and the Supplements.Plus it was quite helpfil that I was surrounded by PostScript gurus. By the time I got this book it read like a Dr. Suess novel.Bored, I was. Although this book could be useful to the person who cares nothing of how things work, I found it extremely lacking in the area of defining the way Postscript works.From the outset, the book shows many examples which theauthors touts as the best way to learn something.However, many of theexamples used have little or no explanation of some of the cryptic commandscontained within.You end up wasting a lot of time scratching your headtrying to find out *what* is going on.It becomes a matter of wadingthrough the entire book since many terms are not even listed in the index. A glossary and perhaps a command reference would have been extremely usefulin this book. This book is not worth $19.99. The PDF version of the book is available at booksllc.net for $9.99. I have only seen the paperback version so I can not comment on the PDF version. The product description states that purchase of the book includes free access to book updates online. I have not been able to find the updates. The links mentioned in the book don't go where they are suposed to. 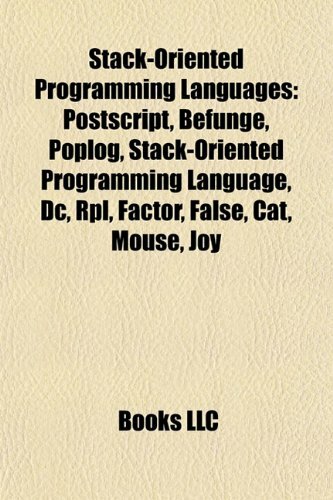 This book is a very brief description, sometimes with a little history and code snippets, of a number of concatenative programming languages. Forth and Postscript get the most attention. The next group of languages get a few pages of attention: Cat, Factor, Hartmann Pipeline, Joy. The next group of languages get a page of attention: Colorforth. 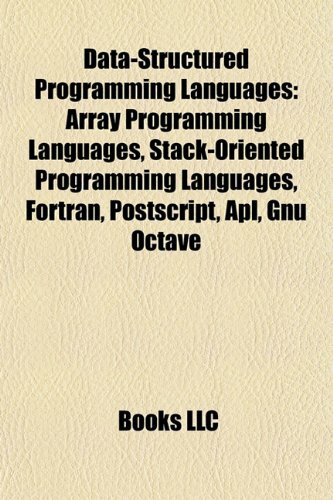 1/2 a page is dedicated to each of the following programming languages: Abundance, Gforth, Pforth.